A couple of months ago I had the privilege of touring the Sunshine Mill Artisan Plaza and Winery in The Dalles, Oregon. Who would have thought a flour mill could have become a luxury wine tasting room and event venue. But it has. The cave-like dining area reminded me of a place where the Bachelorette might dine with one of her chosen men. Why is this place called the Sunshine Mill? If you’ve ever eaten Cheez-it crackers, those salty delights came from this very site when the flour mill was operational. Constructed of concrete and rebar, the Sunshine Flour Mill extended to a height of 125 feet, making it the tallest structure in The Dalles. For the most part the exterior remains the same to this day. Eventually cracker production decreased and the mill lost its viability. After closing shop, it stood unused until James and Molly Martin purchased it and converted it to a winery. The Martins named their winery, Quenett, which means steelhead. In a short amount of time, it has grown to be the second largest winery in Oregon. Quenett produces 2,500 cases of bottled wine and 125,000 cases of Copa Di Vino a year. Are you a “Shark Tank” fan? If you watch this Friday night TV show, you may have seen James Martin. On two different occasions he appeared before the millionaires (the Sharks) asking for support for his invention of wine by the glass. Each plastic glass contains a serving of wine and is sealed with foil and a plastic cap. These can be purchased at the winery and in grocery stores. I brought some home and really wish I had more. (I just noticed on the website you can put in your zip code and find the nearest place to buy Copa Di Vino). Excuse me I need to go to the store. These little gems make great picnic accompaniments plus the wine tastes divine. 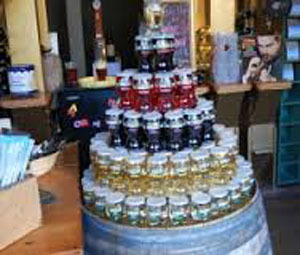 Martin’s Copa Di Vino (the wine by the glass) has become one of the fastest growing brands in America. And he turned down the deals the sharks offered him. The long and cavernous wine tasting room has chandeliers made entirely from wine bottles, a comfy couch or two, tables and more to look at then you’ll find in any other winery. It’s definitely worth a visit if you’re near The Dalles. Keep an eye on Sunshine because plans have been set into motion to make the grain silos into a seven-story hotel. If you think James Martin has unrealistic dreams, check out the photo gallery for the Quaker Square Hotel in Akron, Ohio. Converting grain silos into lavish lodging has already been done. This entry was posted in Oregon, Towns, Uncategorized, Wineries and tagged Akron, Bachelorette, Cheez-it, Copa Di Vino, James Martin, Molly Martin, Ohio, Oregon, Quaker Square Hotel, Quenett, Shark Tank, Sunshine Mill Artisan Plaza and Winery, The Dalles on June 29, 2013 by admin. 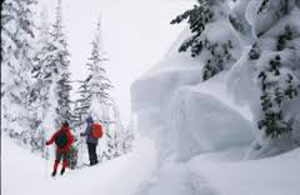 Tucked in between the tourist Mecca of Bavarian-themed Leavenworth and Wenatchee, which boasts a myriad of outdoor recreational opportunities, Cashmere has long been known as the home of the jellied candies, Aplets and Cotlets. Lots of folks frequently stopped at Liberty Orchards to take a tour and buy candy to take home, but then returned to their cars and raced down the freeway leaving the rest of Cashmere unexplored. 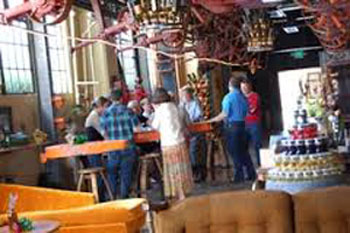 Now a variety of tourist-friendly businesses have taken up residence in Mission Square, an old pear packing warehouse in the Mission District. It’s 5 O’Clock Somewhere is an artisan craft distillery with a tasting room in Mission Square. They produce 30 gallons of spirits a day. Their spirits are all made by hand using fruits and grains grown in Washington. Their offerings include Moonshine, Sunshine, Wheat Whiskey, Grappa and Brandy. But their most renowned product has got to be their Northwest Dry Gin with a range of botanicals not found in any other gin — star anise, juniper, orange, lemon, coriander and others. Wine Design showcases and sells clocks and tables all made from old wine barrels. Owner and craftsman, Brian Ropp will build anything you like from signs to tables to chairs and more to your specifications. Besides wine barrels, four wine tasting rooms grace the Square so there are plenty of opportunities to try local wines. Snapdragon Coffee Café should not be missed whether you stop at the beginning or the end of your visit to the Square. They serve coffee drinks to warm you up and really good, authentic Italian gelato that can be consumed in any weather. The day I was there, the flavors on tap for both gelato and sorbet included chocolate, chocolate cabernet, blackberry cider, white chocolate raspberry, mango, raspberry cider, lavender, old world cider with Aplets and Cotlets and salted caramel. The cider in the frozen confections is made by the owners of the café who also own the Cashmere Cider Mill. The Greens also have lodging available at the Cider Mill property. Time it just right in the afternoon and you can imbibe in Snappy Hour at the Snapdragon Café and savor an exotic drink (alcoholic-free) with either a juice base or a coffee base. I highly recommend the piña colada. Very refreshing on a hot day and I’m sure it’s just as tasty on a cool one. I love it when first-rate businesses band together in one structure. Do you have a place like this that you love? Heather Larson writes about the Pacific Northwest from her office in Tacoma, Washington hoping she can entice you to visit or share your own memories of the region. You can reach her at writemix@harbornet.com. This entry was posted in Restaurants, Sweet Treats, Towns, Wineries and tagged Aplets and Cotlets, Cashmere, Cashmere Cider Mill, gelato, It's 5 O'Clock Somewhere, Leavenworth, Liberty Orchards, Snapdragon Cafe, Wenatchee, Wine Design on July 26, 2012 by admin. Every once in awhile I venture outside Washington’s boundaries to see what’s going on in our neighboring states. In Post Falls, Idaho, which is only a hop, skip and a jump from Spokane, Washington, I discovered the Red Lion River Queen, an authentic paddle-wheel boat that cruises up and down the Spokane River. The Red Lion River Queen docked at the Templin Marina. I love to sit on the upper deck of a boat, watch the shores for wildlife and feel the warmth of the sun caress me. Sipping a drink, while doing so, makes the experience just about perfect. This cruise does that and more. In order to enjoy one of these excursions, you’ll have to act fast because the last one of the season leaves the dock on September 25, 2011. I highly recommend these narrated tours. From the water side you can see the $7 million home that Amway built. Nobody lives there now – the complex is just used for events. Besides the mega mansions situated on the river’s shores, you might see osprey and you’ll definitely see fall emerging in a symphony of colors. The house built by a gentleman who worked within the Amway Corporation. The River Queen holds 100 people (60 on the enclosed lower deck) , has a full bar on board and it’s easy to move about the cabin or step outside to the upper deck (holds 40 people) for an even better view. The Wine Down at Sundown cruises, offer appetizers and wine tasting from Coeur d’Alene Wine Cellars. 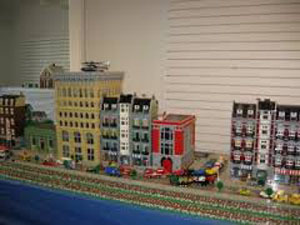 Sign up soon because the last departs on the evening of September 16, 2011. This entry was posted in Family Fun, Ferries and Other Boats, Seasonal, Tours, Wineries and tagged Amway, Couer d'Alene Wine Cellars, cruise, fall foliage, Idaho, Post Falls, Red Lion River Queen, Spokane, Spokane River on September 6, 2011 by admin. Arbor Crest Wines not only taste good and satisfy the connoisseur, but their place of origin is stunning. 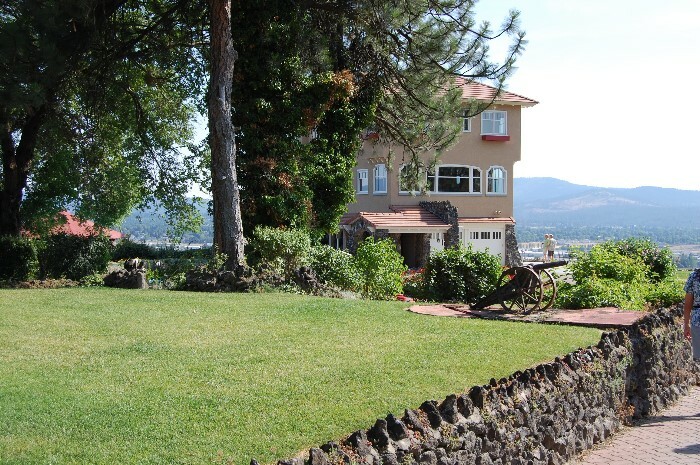 The grounds have a panoramic view of the Spokane River, Liberty Lake, downtown Spokane and the Spokane Valley. The Cliff House Estate, a three-story Florentine mansion located on the property, was built in 1924 by Royal Newton Riblet, an inventor and mechanical genius. His patents included a pattern sprinkler system, a mechanical parking garage and the square wheel tractor. Riblet and his seventh wife entertained many guests while they lived here. Their beautiful home plus the lush grounds made entertaining ideal with over four acres of terraced gardens, a life-sized checkerboard and a 6,000 gallon swimming pool. In 1984 Arbor Crest purchased the estate which had been designated as a National Historic Landmark. In 2009 the historic mansion was heavily damaged by fire and had to be rebuilt from the ground up. Many antiques were destroyed. But now the renovation has been completed and Arbor Crest is back in business in a big way. One of this summer’s concerts boasted the largest attendance ever. Close to 35,000 people visit Arbor Crest each year either for an event or for wine tasting. With its manicured gardens, the enchanted forest, the gorgeous three-story Cliff House and a separate wine tasting building, it makes an ideal venue for any event or just as a place to come and relax an sip some tasty wine. 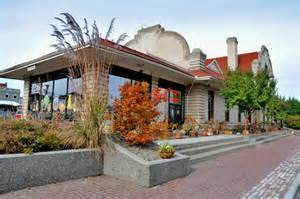 This entry was posted in Gardens, Personalities, Wineries and tagged Arbor Crest Wine Cellars, Cliff House, National Historic Landmark, Royal Newton Riblet, Spokane, wine, winery on August 19, 2011 by admin. 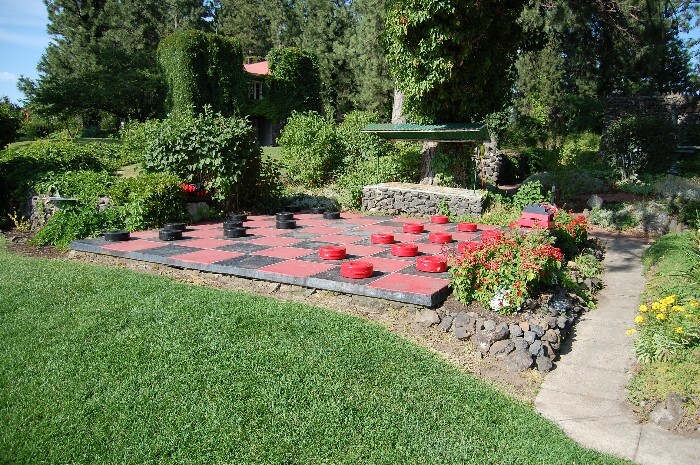 In Zillah we found a most unique place to stay – Cherry Wood Bed Breakfast and Barn. 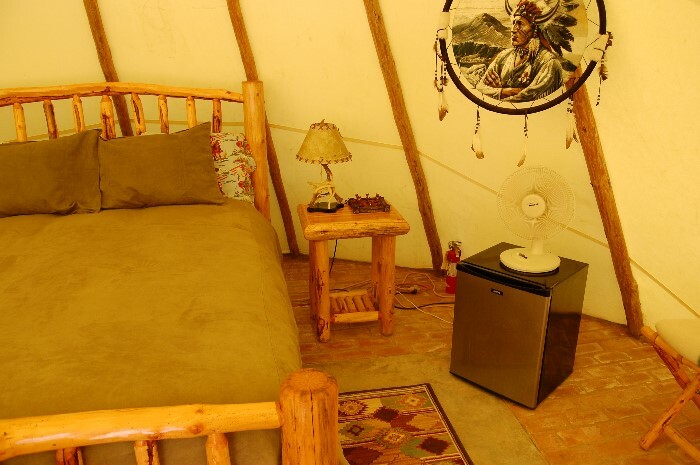 You sleep in tall teepees that are completely furnished with real beds, a refrigerator and mirrors. The floors are either stone or brick depending on the teepee. You do have to venture outside to use the porta potties or the showers, but it’s worth it for the view of the Yakima Valley and experiencing the sites, sounds and smells of nature. Try the “Twilight Tubs” for romance or bonding with your BFFs. Bath salts are supplied, and you can enjoy candles and drink wine while relaxing in the soaking tubs. Pepper Fewel, the owner, drew a vivid picture of what it’s like to recline in the tubs under the stars and it was a mighty appealing picture. After breakfast in the morning, you’ll want to get dressed for a winery tour on horseback. 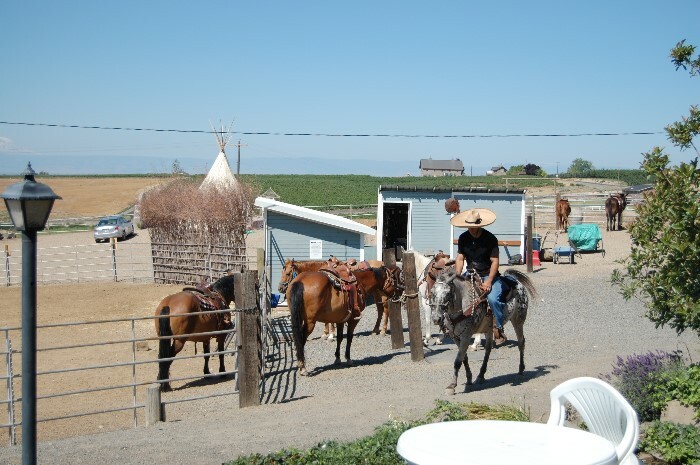 For four hours, you’ll ride a horse, fit to your riding level, to three different wineries, which might include Cultura, Agate, Silver Lake or Two Mountains, and have lunch. If you choose to buy wine at any of the wineries, it is picked up for you and brought back to Cherry Wood so it’s there to enjoy when you return. Fewel says most of her horses were rescued and then trained for trail rides. Horses that run up to the gate in the morning are the first ones chosen for the winery tour that day. The ones that hang back don’t have to go. This is a tour I’d love to try. What better way to enjoy the countryside, experience the lushness of the wineries and get a little exercise to boot. This entry was posted in Hotels and Other Lodging, Seasonal, Tours, Wineries and tagged Agate, Cherry Wood Bed Breakfast and Barn, Cultura, Silver Lake, teepee, Two Mountains, winery tour on horseback, Yakima Valley, Zillah on August 12, 2011 by admin. I was tagged by my friend, Kerri, at Living Large in Our Little House for The Seven Links circle bloggers have been participating in. It seems like a good time to review what I’ve done, so here are my answers. Even I was surprised at the number of views this post drew. I kept trying to figure out if it was the dogs or the wineries that people were interested in and finally decided that it was the combination. Although my blog talks more about what to do in the Evergreen State and I don’t deem it controversial, this one caused a stir. Readers demanded to know if the cranberries were grown organically. One of my most comprehensive posts, this suggests places in Washington that match up with the national travel trends predicted by Thomas Stanley in Luxury Travel Magazine. 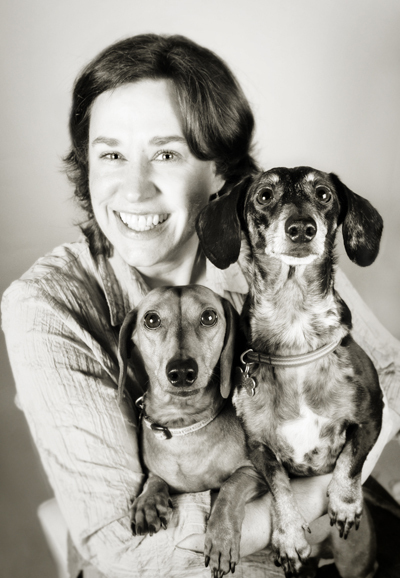 I love that so many people want to travel with their dogs and Val makes it so easy to do with her books on where our canine friends are welcome. Everyone in the state you talk to has an opinion on this, yet I received no comments. This was a tough one because I’m usually proud of one that has been written recently, but looking back this one has lots of good information for a visitor wanting to explore Port Townsend. If you have any comments on the posts mentioned, pro or con, I would love to hear them. NW Dog Blog: You can get frequent, updated advice about traveling with your dog here from Val Mallinson. Girl About the World: Haley travels both inside and outside Washington and is based in Seattle. She’s got fantastic tips to offer travelers. Stuck at the Airport: Anyone who can post a blog everyday has my vote for most knowledge on the topic chosen. Harriet knows airports inside out. Lighthearted Travel: Although Marilyn lives in Oregon, she often writes about Washington and lots of other really cool destinations. Going on Adventures: Beverly has lots to talk about in the way of traveling adventures and it’s all good sound advice. This entry was posted in Books, Dog-friendly, Towns, Wineries on August 5, 2011 by admin. I love free, fun activities and here’s one that shouldn’t be missed this month. Shorty, a stage hand has been caught haunting the Capitol Theatre. Hear all about his handiwork on this tour. The P.A.S.T. is Present Paranormal Investigation Team is offering free guided, narrated walking ghost tours in downtown Yakima. Are the rumors of ghost-like activity on the third and fourth floors of Yakima City Hall actually true? Find out on this tour. Confirmed paranormal activity has been detected in the Yakima Valley Sports Center and The Depot Restaurant. Tours take place each Friday in October at 6 p.m., and Saturdays at 3 p.m., 5 p.m. and 7 p.m. Reservations are requested, but not required. However, a minimum of five people are needed to conduct a tour. To make a reservation, call 509.945.9830. While you’re in Yakima, visit the Rattlesnake Hills Wine Trail, have a spa treatment, shop or engage in any of the many outdoor activities like fishing, hiking or golfing. 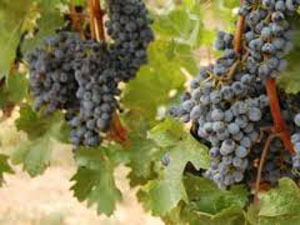 Find out more about what’s happening in Yakima at http://www.visityakimavalley.org. This entry was posted in Free, Tours, Towns, Uncategorized, Wineries and tagged Capitol Theatre, Depot Restaurant, fishing, free, golfing, Haunted, hiking, outdoor activities, Paranormal, Rattlesnake Hills Wine Trail, shop, spa treatment, tour, walking, Yakima, Yakima City Hall on October 21, 2010 by Heather Larson. So far on this blog, I’ve not taken you to Eastern Washington, which is the home of some of our most famous wines. A section of Eastern Washington shares the same latitude as the Burgundy and Bordeaux wine regions of France and averages two more hours of sunlight a day than California during prime grape growing season. And lots of our wineries in the Tri-Cities area, which includes Richland, Kennewick and Pasco, plus some in nearby areas, love dogs almost as much as they love their wine. If you want to take man’s best friend along with you on a self-guided winery tour, you’ll both be rewarded. Bung, the Wonder Dog, at Bonair Winery. Bung, the Wonder Dog, hangs out at Bonair Winery in Zillah. While you’re outside enjoying wine and tapas by the duck pond, Bung will hop in an empty chair and appear to have a conversation with you. Although he’d like to sample your appetizers, he’s not at all forceful or aggressive about it. He’ll gladly show your dog around, too. Bung’s likeness, although it was a previous Bung who lived at the winery for 12 years, appears on Bonair’s Bung Dog Red wine. Dogs are often seen hanging out on the patio at Kiona Vineyards in Benton City. Located on Red Mountain, Kiona’s tasting room was named the Best in Washington State in 2009 by Seattle Magazine, probably because of the breathtaking panoramic view of the estate. Aurora, a loveable shepherd mix, who graces the label on Sleeping Dog Wines’ Late Harvest Sauvignon Blanc, can also be found in Benton City welcoming all, both human and canine, to the Sleeping Dog Wines tasting room. Here the vineyards give pups a place to stretch their legs. Water and peanut butter treats are almost always on hand. 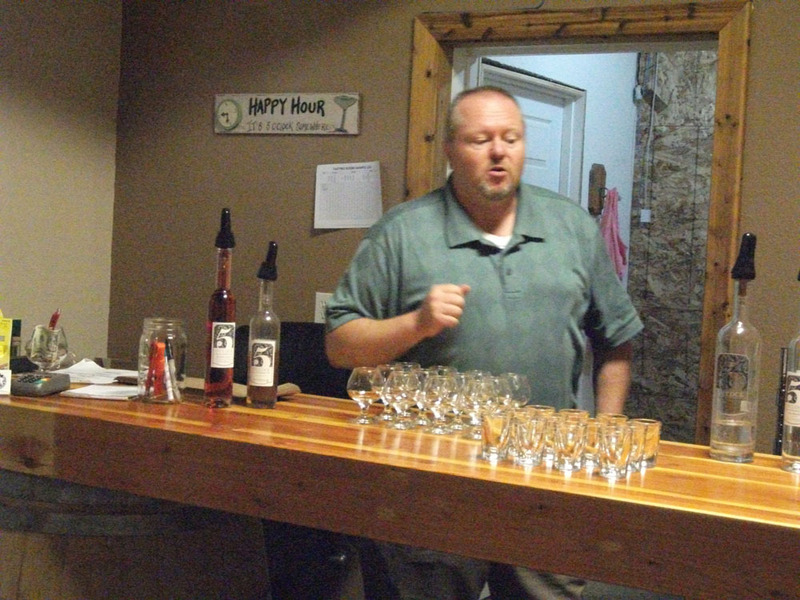 You’ll find Riley at Hightower Cellars, also in Benton City, where dogs are allowed to play off-leash outside or partake of the water bowl in the tasting room. In Richland, Barnard Griffin Winery welcomes canines and also supports them through a partnership with the local Humane Society. Their 2009 Rose of Sangiovese just brought home its fifth gold medal in a row from the San Francisco Chronicle Competition. I’m sure there are many more wineries that are dog-friendly as there are more than 160 wineries within a 50-mile radius of Tri-Cities. Just call and ask if you find one you’d like to visit. 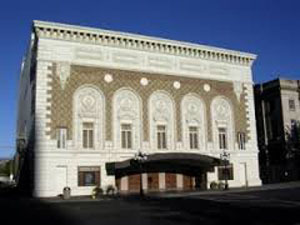 For more information on what to do and see in the Tri-Cities area, head over to www.visittri-cities.com. This entry was posted in Dog-friendly, Wineries and tagged Aurora, Barnard Griffin Winery, Benton City, Bonair Winery, Bung, dog, Eastern Washington, Hightower Cellars, Kennewick, Kiona Vineyards, Pasco, Red Mountain, Richland, Sleeping Dog Wines, Tri-Cities, Washington State, wine, wineries, Zillah on September 13, 2010 by Heather Larson.